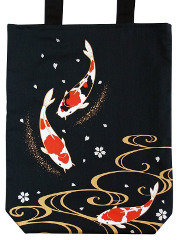 Koinobori are carp-shaped windsocks. 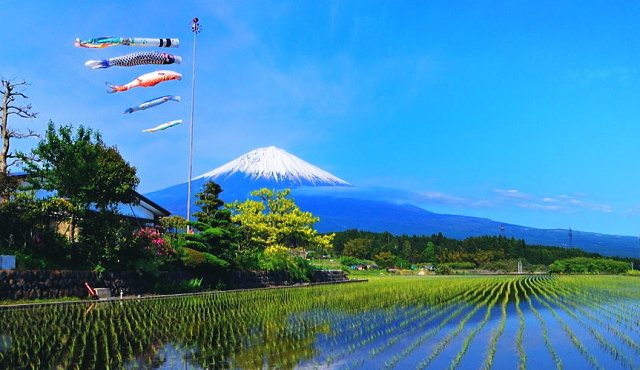 Japanese families with children hang Koinobori outside from April through early May in honor of Children's Day taking place on May 5. 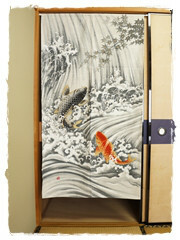 In japanese culture, the carp symbolizes courage and strengh because of its ability to swim up a waterfall. 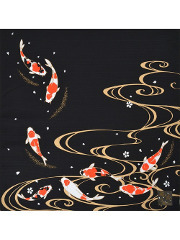 Families set up koinobori in order to wish good health and success to their children. 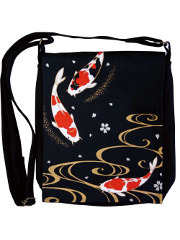 A typical koinobori set consists of a colorful streamer (fukinagashi), often with a family crest, followed by a black koinobori representing the father and a red koinobori representing the mother. 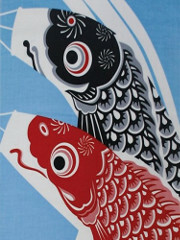 To represent the child a blue koinobori is often used. 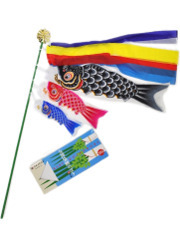 If more children are in the household, an additional green and then purple or orange koinobori are added.